To help gain a view of the digital customer, some enterprises are expanding the C-suite to include a chief digital officer, chief data officer, chief analytics officer, chief marketing technologist, chief experience officer and the list goes on. But have businesses had the answer all along in the CIO? The rise of the digital customer has sparked a battle among executives -- namely, CMO vs. CIO -- with lots of online sales at stake. 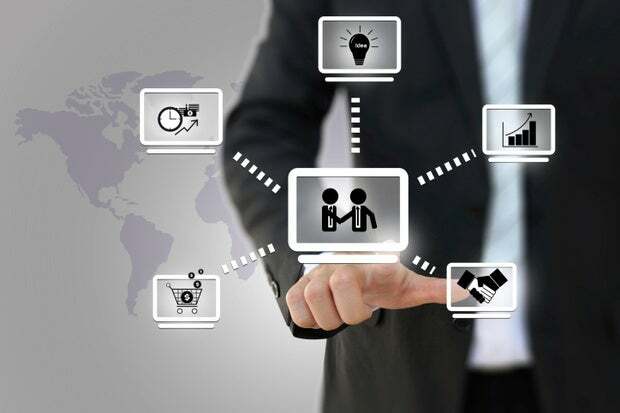 In turn, this has led some companies to create new executive positions, such as the chief digital officer, chief data officer, chief analytics officer, chief marketing technologist and chief experience officer, all charged with taking a holistic view of the digital customer and reaching out across the enterprise. But does bringing another high-powered ego into the C-suite make sense? Their role is to curry favor and forge strategic alliances with business unit leaders and the CIO. It's not a stretch to imagine a company's internal politics meter spiking to critical levels. Now it seems just about every industry watcher has taken sides on the issue. Proponents of a new C-suite executive argue that the need for business-tech alignment is greater than ever. Companies must survive and thrive in a digital world where relationships with the customer, employee and supplier require emerging technology. The responsibility for this alignment has often fallen on the shoulders of CIOs, and every year for more than a decade CIOs have reiterated that this is their biggest challenge. Companies can't wait any longer, so perhaps it's time for a new kind of quarterback. Nearly three out of four brands either have a chief customer experience officer or plan to hire one this year, says IDC. By 2020, IDC predicts 60 percent of CIOs at global organizations will be supplanted by chief digital officers. In the Harvard Business Review, Scott Brinker says chief marketing technologists will become the connective tissue between marketing and IT. "If you don't have a [chief data officer], you've turned the kids loose on the playground of data, and they're going to do whatever they want," Dorman Bazzell, practice leader at Capgemini, told Computerworld. "There is going to have to be a role that manages all of the use of that data." Of course, there's no guarantee a new C-suite executive boasting business chops will fare any better than the CIO in aligning business and technology in the digital age. It's not an easy task corralling data and system silos and asking business leaders to make concessions to their business units for the good of the company. Nevertheless, marketing tech vendors selling directly to the CMO are witnessing the arrival of the chief digital officer. For instance, CEO Neha Sampat at built.io says she came across only a handful of CDOs in 2013 but now sees a couple thousand. A large majority of the CDOs have marketing backgrounds with some tech experience. But hiring an executive peacemaker, such as a chief experience officer, sounds a bit like putting a bandaid on a festering wound, says CEO Mark Lancaster at SDL, a marketing tech company headquartered in the United Kingdom. While it makes sense visually, a chief experience officer masks what's going on underneath -- that is, political turmoil. Lancaster explains: "Is the CMO going to listen to the (chief experience officer)? Maybe. Is the sales VP going to listen? Unlikely. Is the CTO going to listen? Almost definitely not." SDL has first-hand experience with internal bickering, because the vendor sells a platform across multiple departments. Pitching its platform to a chief experience officer only means SDL faces a dragged-out sales cycle as the chief experience officer tries in vain to sell to other business leaders. In lieu of a chief experience officer, Lancaster would rather see the CEO issue a customer-experience mandate for all departments to follow. "You don't stop bickering by putting somebody in to play facilitator," Lancaster says. "They're always a bloody waste of time, just like the European Union. You don't get anything done." Both CMO Council Executive Director Donovan Neale-May and Forrester CEO George Colony say that introducing another ego into the c-suite, in this case, the chief digital officer, is a recipe for disaster. "Don't hire a chief digital officer," Colony says, speaking to attendees at Dreamforce last year. "We don't believe the CDO is the answer." Is there another option? What about the CIO becoming the new internal consultant to the business? Some CIOs might be operating under new names that reflect a more strategic, holistic role: chief integration officer, chief connections officer, chief data officer, chief innovation officer, cloud broker and internal IT consultant. It's already starting to happen. Nationwide Mutual Insurance's chief data officer, for instance, comes from the tech ranks; the CIO sponsored the creation of the position, which reports to the CTO. Maybe what's needed is the CIO to step up to the challenge and help the CMO and other business leaders transition to the digital age. "There's a need for CIOs to be more proactive," Neale-May told CIO.com last year.